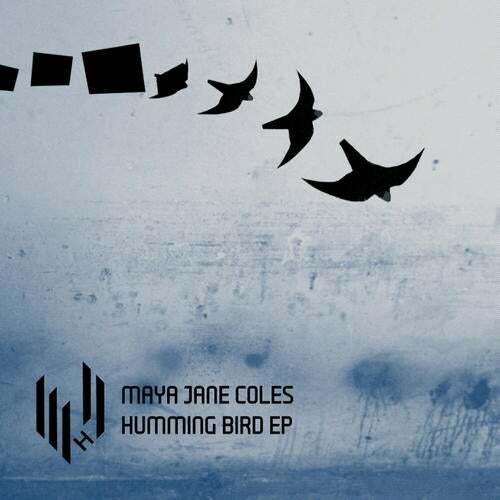 It's been an amazing end to the year for Maya Jane Coles, she hit the dizzy heights of chart success (voted No1 charted track on RA for the month of Oct) with her '92 feel-good house track 'What They Say' which could easily be mistaken for an early MK/ Nightcrawlers record. We're very proud to welcome Maya into the Hypercolour family, and we lead with the 'Humming Bird' EP, which as far as we are concerned is a great end to an also great year for Hypercolour. Picking up where she left off, Humming Bird once again utilises that classic house feel for which Maya is becoming well know for, non-surprisingly a harmonic 'hum' weaves over and above Maya's organic bass and drums. This is grade A deep house and will be sure to please all those who played and loved 'What The Say'. She's no one trick pony, and anyone familiar with her alternative projects will know she has immense talent. Next up we air 'Nobody Else', blissed out electronica with none other than Maya herself featuring on vocals, her catchy vox makes you feel like you could easily be at the helm of the Bristol scene in the mid 90's, smoking a reefer and listening to the likes of Portishead or Massive Attack, clearly a big influence on Maya's sound. 'Lookin' Out' continues the drive forward for the dancefloor, an incessant vocal carries a groove, pushed along by Mayas trademark bass heavy approach throughout, which rolls with the flow, into percussive breaks. This is yet another example of Maya's grooves, strictly intended for the floor. Once again Maya's alluring vocal reaches out in 'You', her voice is both delicate and dazzling here, sitting on top of a low-slung, dub house groove, ska style bass and ragga stabs echo throughout. This is a totally refreshing strand of 'House' and wipes the floor with the swarm of generic music out there at this present time. Finally, Contradiction just had to go on the package, and too our absolute amazement this track is nearly 5 years old!! it has just been sat there taking up space on Mayas hard drive it may have the percussive house tag, but trying to place where you will hear it? could be anywhere from the Balearics to a back street sweat pit in the outskirts of Whitby.